Welcome to Palestine Today, a service of the International Middle East Media Center, www.imemc.org, for Tuesday, June, 27, 2017. Israel bombards targets in Gaza as troops invade West Bank communities leaving eight injured. These stories, and more, coming up, stay tuned. The Israeli Air Force fired, overnight, several missiles into many areas, in different parts of the besieged Gaza Strip, reportedly after a homemade shell was fired into Sha’ar HaNegev Regional Council of settlement, across the border fence. The Air Force carried several airstrikes targeting the “Bader” site, run by the Al-Qassam Brigades, the armed wing of Hamas, northwest of Gaza city, causing excessive damage. Several missiles were also fired into the Nasr neighborhood, northeast of Rafah, in the southern part of the Gaza Strip, causing excessive damage to homes. In addition, Israeli soldiers stationed across the border fence in the eastern part of the Gaza Strip, fired dozens of live rounds at homes and farmlands, east of Gaza Valley. The army also fired an artillery shell into a farmland, east of Deir al-Balah, in Central Gaza. Furthermore, Israeli navy ships opened fired on Palestinian fishing boats in Gaza territorial waters, in different parts of the coastal region. The Israeli army said a shell was fired from Gaza, and landed in an open area in the Sha’ar HaNegev Regional Council of Settlements, without leading to damage or injuries. Elsewhere, Dozens of Israeli soldiers invaded, on Tuesday at dawn, the Deheishe refugee camp, south of the West Bank city of Bethlehem, in the occupied West bank, and clashed with dozens of local youngsters, before shooting and injuring eight Palestinians, including a medic, and abducted a young man. 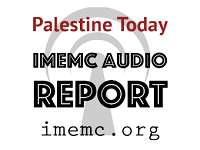 And that’s all for today from the IMEMC News; this was the Tuesday, June, 27, 2017, news round-up from the Occupied Palestinian Territories. From more news and updates, please visit our website at www.imemc.org today’s report has been brought to you by George Rishmawi and me Eman Abedraboo-Bannoura.